Flying into Taipei the lights of the city were littered with exploding fireworks welcoming the new year. Over the next few days I’ll have the pleasure of ringing in the Lunar New Year in northern Taiwan. Pingxi’s lantern festival is world renowned and I’ve got a host of other fun activities to keep me going in between couch surfing. I’m looking forward to hot springs, some hiking and wandering around Taiwan’s old towns along with a few night markets and other excursions reminiscent of my first adventure here. Oh and I can’t forget the other main reason I’m here is to present at AppsEvents’s Google Apps For Education conference! Find somewhere to sleep – New countries can be weird. Even countries you’ve been to before. Heck my own country is weird at times but when traveling around you just mind find something like my current lodging. I heard about Qtime from my couch surfing host a bit further out of the city. 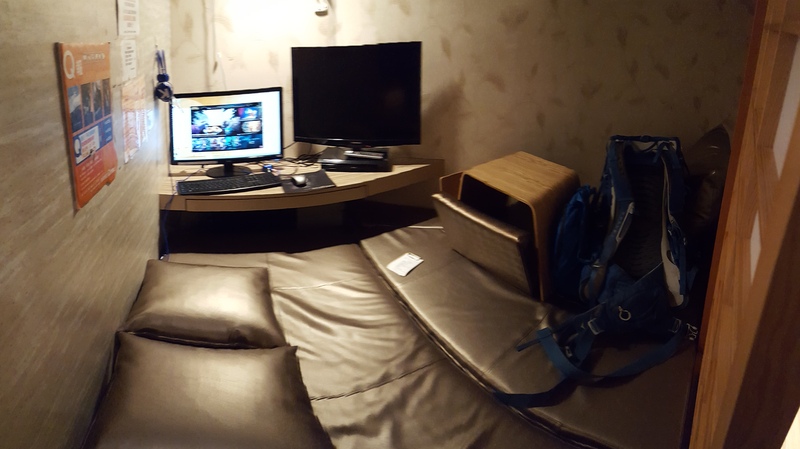 She recommended this internet cafe with private rooms when I asked about a cheap place to stay in Taipei. At first I was skeptical but it was a pretty easy decision to spend $20 to get 12 hours in a mostly secluded room with a squishy floor rather than $50 on a hotel around the corner. I’ve got my own PC and a massive TV along with a library full of DVD’s, video games and magazines. 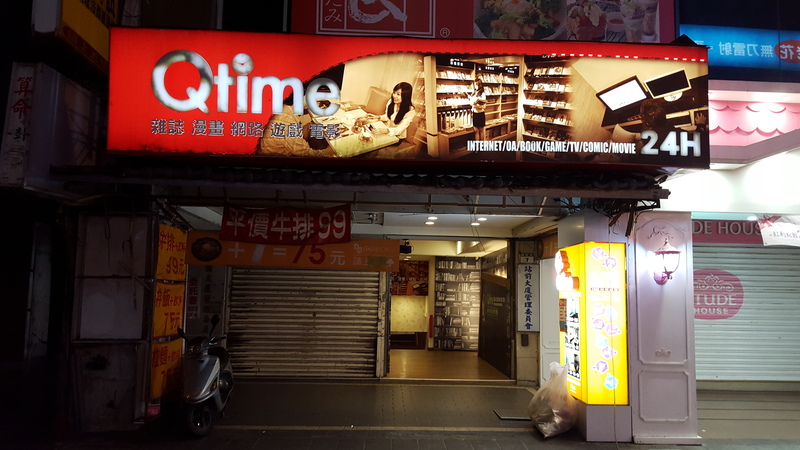 Q-Time appears to be a unique operation but I’d love to find more of these affordable, hostel-esque accommodations with a twist. Stop at an ATM – When you get to a new place one of your first priorities should be getting some local currency. I always recommend bringing some cash with you and if you’ve got the time ask your personal bank to exchange some money for you. But, chances are you won’t have enough to get you through the trip. Well actually no, chances are you didn’t actually stop at your bank before you left so don’t fall into the trap of airport foreign exchange banks. They take the highest commission of any bank out there and that means you have less money! The best option when getting money in a foreign country is the ATM!The trick to using the ATM is to use as few transactions as possible. You’ll be hit by a 1-time $5 fee but get the closest exchange rate to what Google says. That same 13000 NTD would have cost me 510,000KRW if I did it at the airport instead of the 475,000 that the ATM charged me. I like to get enough money to last a few days so I’m not carrying it all at once and I aim to stop at the ATM at MOST twice per week. Get connected – The next thing I like to do is figure out how to get connected to the internet or mobile networks. If I’m staying somewhere for more than a week I’ll usually BUY A SIM CARD. I’ve done it in Japan, Philippines, America, Thailand and Vietnam. 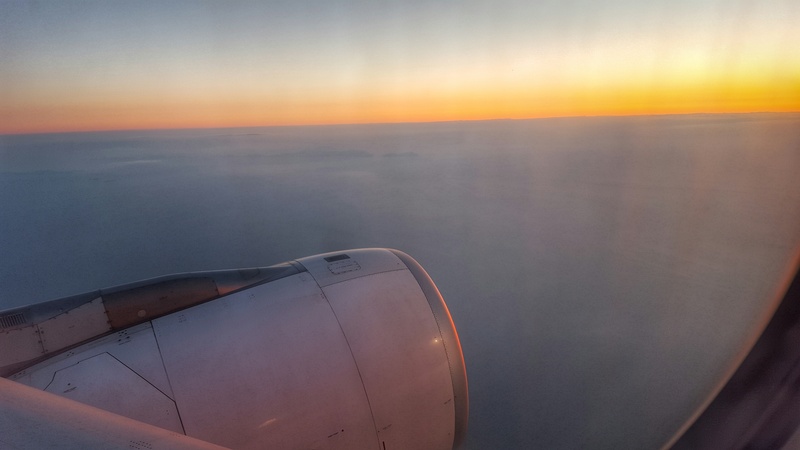 Each place I’ll spend less than $20 for up to a month of network connection with anything ranging from a few hundred mb/day to unlimited data!If you aren’t planning on getting a SIM card then do some research about your destination. Most cities have free tourist Wi-Fi available and if you’re going anywhere developed you can usually stop at a cafe or even fast food restaurant for some free Wi-Fi!